COLUMBUS, OHIO (December 21, 2017) – Alert Public Safety Solutions (APSS), is a proud partner of the Grand Forks Fire Department (GFFD) in Grand Forks, North Dakota. Recently, Grand Forks Fire was awarded the distinguished honor of a ISO Class 1 department. 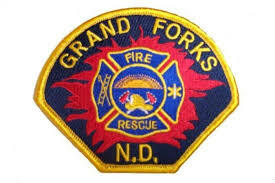 GFFD is the first fire department in the state of North Dakota to achieve this elite classification! This elite rat22ing sets GFFD apart as one of the most elite fire departments in the United States. Fewer than 1% (270 cities out of 44,672) of rated fire departments throughout the country have earned an ISO Class 1 Public Protection Classification (PPC) rating issued by the Insurance Services Office (ISO). In 2016 the Grand Forks PSAP and GFFD became an APSS customer and embraced the APSS line of life savin g public safety software. Implementing APSS Responder™, APSS First Due™, APSS Operations™, and APSS Sentinel™ fully assisted the PSAP and GFFD in reducing response times, accurate record keeping, and building the database needed to document and achieve this distinguished honor from ISO. The ISO Class 1 rating designation is awarded by a thorough assessment of the city’s ability to suppress fire, its facilities, number of personnel, training, deployment of resources, the complement of apparatus, 911 dispatching systems, fire prevention activities, and the adequacy of the city’s water supply. APSS, a leader in public safety software and technology, was proud to be fully implemented within the City of Grand Forks and a part of the change needed to put GFFD over the top in achieving this prestigious award and designation. The commitment of GFFD, the Grand Forks PSAP and APSS working together for the citizens of Grand Forks and the Grand Forks greater business community in achieving this distinction shows the level of commitment to safety in Grand Forks, North Dakota! The Class 1 classification represents superior property fire protection. APSS is honored to be a part of this community and solution in achievement! APSS is a diversified provider of public safety software products with complete software solution packages that improves operational efficiency and increases an agency’s ability to direct first responders and protect and serve citizens. APSS offers public safety software solutions that include Computer Aided Dispatch (CAD), Integrated Mapping, Mobile Dispatch, Records Management for Law, Fire and EMS, Jail, and Information Sharing. APSS software has been successfully installed and implemented 94 new software systems across the globe, processing over 31 million calls for service in 2016. The company’s website (www.AlertPSS.com) contains more information.